Why See Lyric Opera of Chicago - Siegfried? The third opera in Richard Wagner's sweeping Der Ring des Nibelungen, Siegfried has it all - tempestuous gods, a fearsome dragon, a courageous hero and a passionate romance. A wondrous celebration of the natural world, youth and young love, the work features the Ring Cycle's most light-hearted and joyful music as it sets up an ultimately tragic conclusion to the breathtaking saga. Young hero Siegfried knows know fear, and is cautioned by his wizened grandfather to not let his bravery blind him. On his adventures, Siegfried encounters and slays the formidable dragon Fafnir, claiming the beast's godly treasures. 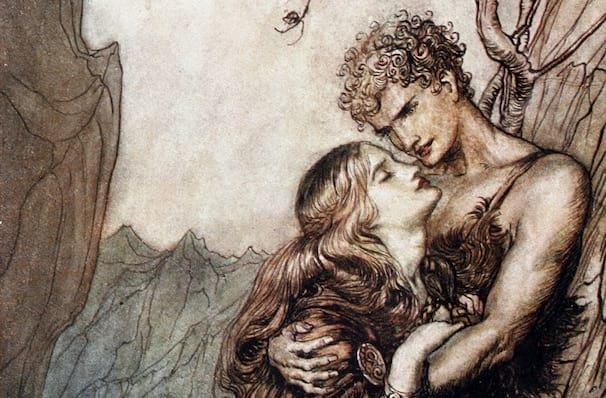 When he chances upon sleeping shiledmaiden Brunhilde by a mountaintop fire, he feels afraid for the first time as he falls in love with her instantly. He wakes her with a kiss and the pair embark on a whirlwind love affair. Sound good to you? 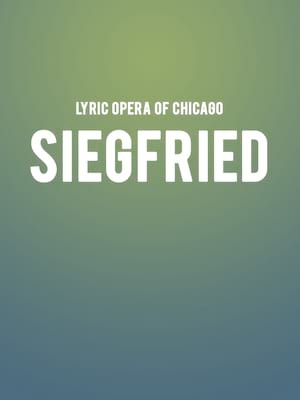 Share this page on social media and let your friends know about Lyric Opera of Chicago - Siegfried at Civic Opera House. Please note: The term Civic Opera House and/or Lyric Opera of Chicago - Siegfried as well as all associated graphics, logos, and/or other trademarks, tradenames or copyrights are the property of the Civic Opera House and/or Lyric Opera of Chicago - Siegfried and are used herein for factual descriptive purposes only. We are in no way associated with or authorized by the Civic Opera House and/or Lyric Opera of Chicago - Siegfried and neither that entity nor any of its affiliates have licensed or endorsed us to sell tickets, goods and or services in conjunction with their events.